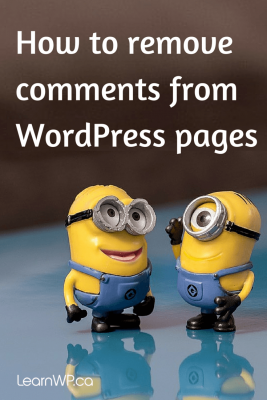 How do I remove the WordPress comments box from pages? We enjoy teaching WordPress and are happy to reply to your WordPress comments and questions. What she is asking is how to remove the comment/discussion box. I’m not sure if she wants to remove it site-wide from pages and posts or just from her static pages. If you want to skip these steps and go with the easiest solution you can use a free disable comments plugin. This solution applies to new posts/pages that you will publish from now on. If you have already published posts/pages you’ll need to do the following BULK EDIT to disallow comments from posts and pages that have already been published. Now repeat the bulk edit for all Posts. Begin with a bulk edit as explained above to turn off comments for all pages that have been published to date. If you only have a couple of pages you can click Quick Edit and turn off comments in quick edit view. You may also find it very helpful to make discussion options visible on pages, this will allow you to turn off comments on the individual page before you publish it. If you don’t see the section labelled “Discussion” below the visual editor (where you type your page content), then you need to click on the ‘Screen Options’ button located in the upper right-hand corner of the page you are on. In the top right-hand corner of your WordPress admin panel (just below the dark grey toolbar and the Howdy, message) there is a tab called Screen Options. Click to open the screen options tab. The best solution is to remove one line of code from the page template that calls the comments. Always create a Child Theme before you edit theme files. If you are using the Twenty Twelve theme you would open the page.php file and find the same line of code. Note: If there are already comments on pages — do one of the methods above to remove all past existing comments before using this method. Open your child theme functions.php file and add this code to remove comment support for pages. 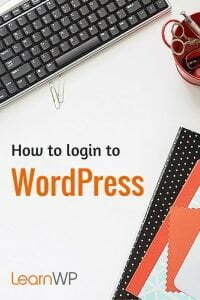 We hope that you’ve found these WordPress for Beginners tips helpful. 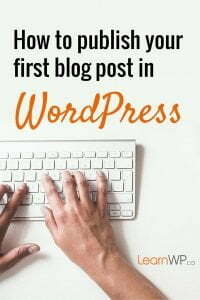 This post is part of our WordPress Beginners series. If this post was helpful you may be interested in reviewing our WordPress Launchlist. If you want to learn more about WordPress, attend one of our WordPress Intensive Workshops in Toronto. Was looking for exactly this. had done this in the past but somehow, was unable to figure it out this time around, your post was a great help, thanks! This tutorial is showing exactly what I did using the quick edit option. A simple fix however its always great to have a source such as this one to keep things moving along. Thank you! This was a big help. Great Stacey, glad that you found what you needed. this really useful..thank you for sharing such a good info!! Thank you so much. I use twenty sixteen theme and have been looking for sometime to turn comments on for pages. I was half right but didn’t tick allow comments at bottom! Thank you i had just about given up. Thanks! 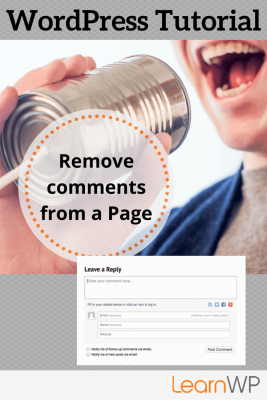 Such an easy bulk fix for removing existing comment forms! You’re welcome JJ. So glad that we helped. Glad that this solved it for you Esther. Thanks for taking the time to comment and let us know that it helped you. Useful post. Not all posts need comment sections. Thanks a Lot to save my time. I was searching google to remove default comment box from my WordPress Blog and Found this Awesome Solution. Now i can Integrate Facebook comment plugin easily. How do you remove the entire section, i.e the box and the text? Different themes will have different file structure the theme instructions reference the twenty-ten theme. The bulk edit instructions work for all themes and are still current. the method is great, but with it, the HTML code will remain and it takes time to load HTML. So the completely remove the comments from the dashboard is great. Hi Kathy. Following solution 1 at the top of this post should do the trick. This has not worked for me. I’ve searched a lot of WordPress questions, including this topic covered here. This is hands down the best and clearest site answering the question, throughly. Lots leave out steps assuming the person knows more. If we did we wouldn’t be looking for answers to questions. Thank you for the step-by-step. The solution #4 did the trick for me. Thanks a lot. I’m using the Boldline theme. If I do Solution #1, it shows ‘COMMENTS OFF’ right at the top (title section) of a post. Why would someone do that? I mean, shouldn’t it just hide comments altogether? Your points are useful to save my time on WordPress. 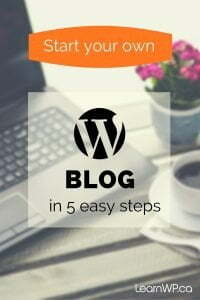 The 4th solution is precise to completely remove WordPress comments that is too good. Thank you for sharing unique info about removing comments which is so much helpful for me. 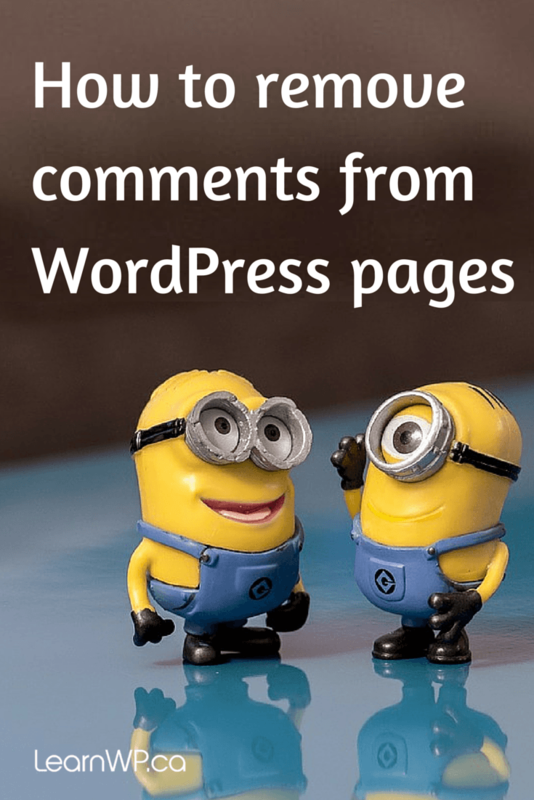 I suggest you make a blog about how to enable comment box in WordPress.